Because heat pumps, also known as hybrid water heaters, are so well suited to the Pacific Northwest climate, many people in the Vancouver, WA metro areas choose these units for their homes and businesses. Heat pump water heaters are highly efficient units that pull warmth by compressing air flow and moving the heat to water. These systems are ideal for mild winters to provide much-needed warmth, but to also save homeowners hundreds of dollars in utility bills. If you’re in the market for a new water heater, here’s what you need to know about heat pump models. These hybrid water heaters are 2-3 times more energy efficient than a conventional electric unit. If your water heater is more than 10 years old, you’ll likely save money on electric bills with any of the newer heaters, but especially with a hybrid model. Hybrid water heaters are eligible for tax credits, government rebates and special offers from Simpson Plumbing. The Rheem hybrid heat pump water heater. 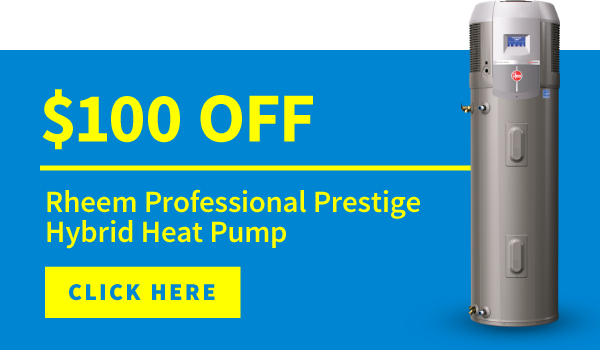 Special Offers From Simpson Plumbing: We’re offering $100 off through the end of 2016 on all hybrid water heaters. Check out our current discounts here. We have discounts on standard and tankless water heaters, though these models don’t offer the same tax credits and government rebates. Getting a Rebate If you Live in Clark County Washington: If you live in Vancouver, Camas or anywhere in Clark County, you can get a rebate on qualifying heat pump water heaters. The program offers a $300 rebate. Learn more by visiting Clark Public Utilities website. Tax Credits and Incentives for Oregon Residents: Oregon residents can get a credit on their state income taxes when they purchase high-efficiency water heaters and other appliances. To learn more about these credits, visit oregon.gov. Federal Tax Credits: The federal government also offers a tax credit on hybrid heat pump water heaters. The credit is for $300 when a qualifying water heater is installed by December 31, 2016. 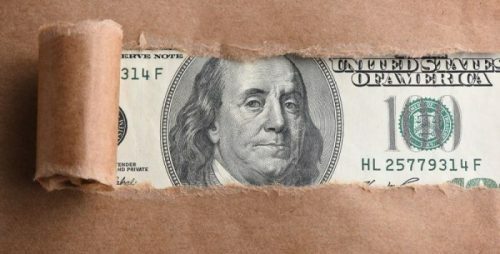 Learn more about federal tax credits here. Efficiency mode: In this mode water is heated only by the pump and compressor. Electric mode: At this setting an electric element heats water. This mode is used during high demand or very cold weather. Hybrid mode: When this is the default setting, the unit will use the system that is most energy efficient and effective at delivering hot water. Vacation mode: Some models have a holiday setting, allowing the unit to pause when no one’s home. We at Simpson Plumbing recommend the Rheem Prestige Hybrid water heater. It can save your household up to $404 a year in operating costs. Over its lifetime, that could add up to around $4,000. At this rate, this hybrid model will pay for itself in about two years. The Rheem Prestige helps you save all year. Winters in the Vancouver metro areas are rarely too cold for heat pump technology to handle. During those brief cold snaps, the electric system is there to ensure your family has enough water. Contact Simpson Plumbing to speak to an experienced plumber about water heating options for your home or business.